For any international student who is looking to study abroad in the USA, there are somethings you need to do to ensure that you are ready for your travel. Budgeting is one such thing that is so important when traveling abroad. The following are some helpful tips that you can use to budget your money when studying abroad. Reduce Academic Expenses – One way to reduce your expenses is by boosting your own funds. Save money on shopping for textbooks only. Borrow certain books from the local library or the campus library instead of buying them for your study. 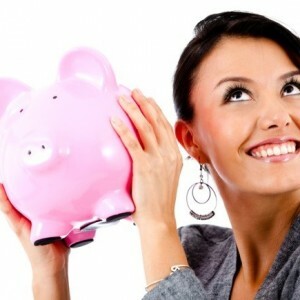 Save small change and over time you will have more money to buy additional things. Shop Wisely – Whether it’s clothes, groceries, or a new pair of shoes, it’s important to shop wisely. Develop a shopping budget for the week or for the month. This will give you the amount of money you can spend at this particular time on luxury or unnecessary items. Ask yourself: do you really need that new pair of boots, or that tub of ice cream or that nice scarf? If the answer is no L, then try to save money to spend if you really would just like to have that nice addition to your wardrobe or fridge! Don’t restrict yourself all the time. Make that luxury items an ‘every once and while thing’ to congratulate yourself on a good job at studying, and budgeting wisely. Carefully Plan Social Activities – Social activities like going to the movies, eating at restaurants and more can be unwise, especially when you have not budgeted for them. Try to plan your social activities carefully so you don’t overspend. Budget how much you want to spend, where you will be going, how long you will be going for, or will you need money for transport? By planning ahead you won’t blow your budget. You will learn how to live abroad or anywhere, on a budget. It may take some careful planning to begin with, but will get to be a lot easier for you in time.